The Tola was a standardized unit in a system of weights. 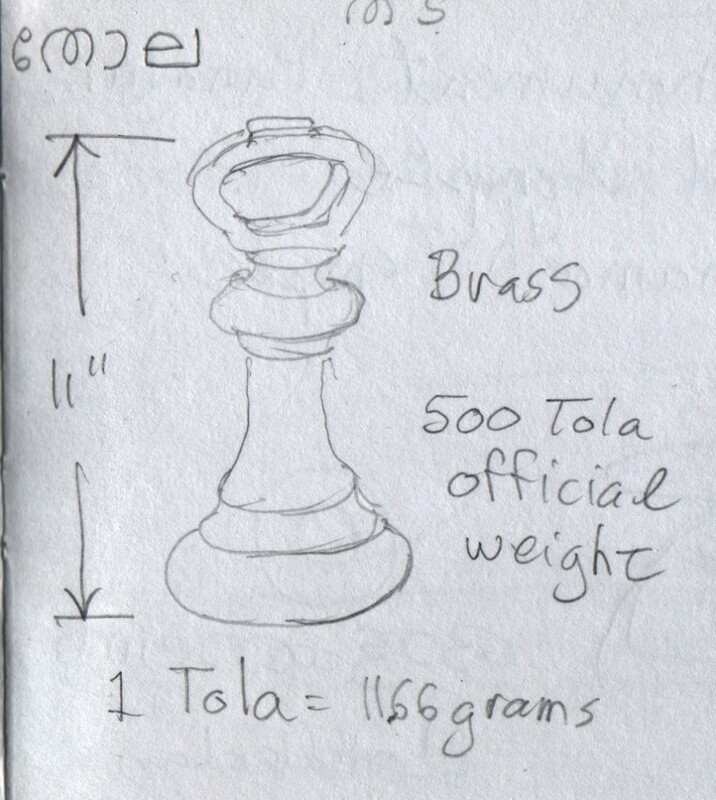 The weights were made of red metal, perhaps bronze, and ranged in size from chess figures up to bowling pins. Koyikkal Palace, Nedumangad. The Malayalam word for Tola is തോല.